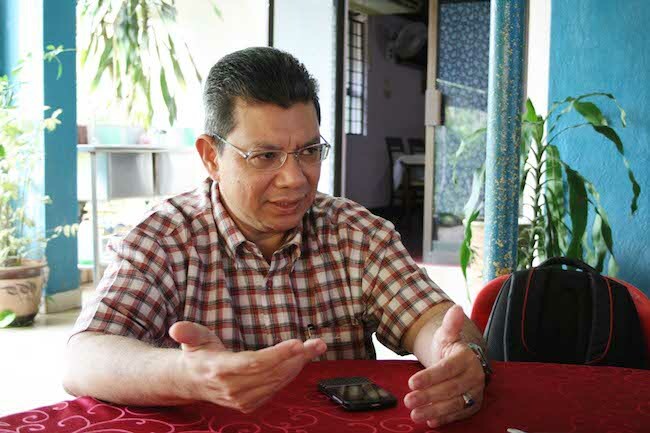 Datuk Saifuddin Abdullah in his home in Temerloh. Photo by Lyn Ong. I lived in a kampung in Temerloh. I walked to school halfway and then I took the bus. There was no electricity in the kampung where I was brought up for seventeen years. We used pelita (kerosene lamps) and there was no pipe water so I drank and showered using the river water. My parents were both teachers, so growing up I think it was all about the importance of knowledge. My father was an ustaz and my mother was a schoolteacher, so that explains it. My parents were reasonably strict but I get a lot of freedom the moment I reached secondary school. Study hard, work had, I was told. The best part was always going to Sungai Semantan and having your shower like Tarzan. The whole kampung would mandi sungai. It was fun, especially during the middle of the year. The river wiould get shallow – kids would have fun there and everybody could swim. My father encouraged me to read the newspaper and it became something I must read every day. I read Berita Harian and I stated to know there are foreign countries and stuff like that. I remember when I was in university, going to Dewan Malek Faisal and thought to myself “Eh, I have read about him when I was a kid!” Malek Faisal is the Saudi King. When I was smaller, my icon was Yasser Arafat. I liked this guy who was running around with his green shirt, pistol, and his hat [laughs]. I was involved as a youth activist since high school. Those days, it was known as the era of the revival of Islam. From Form 3 I started to read books about idealism and the idea that you want to do something good. When I was Form 6, I staged a demonstration against my pengetua (headmaster). I was the head boy. The new pengetua, he was a strict disciplinarian. We had no problems with pengetua who are strict. But he was also abusive with his mouth. Sometimes he would scold teachers in front of students and he scolded our cook. In boarding school, teachers are like our parents and the cook was like our mother. Then came a hockey match and we lost to our arch-rivals. This may sound like nothing to outsiders but when your high school team loses to an arch-rival you don’t just say “padan muka”(serves you right). That was enough to stir emotions. 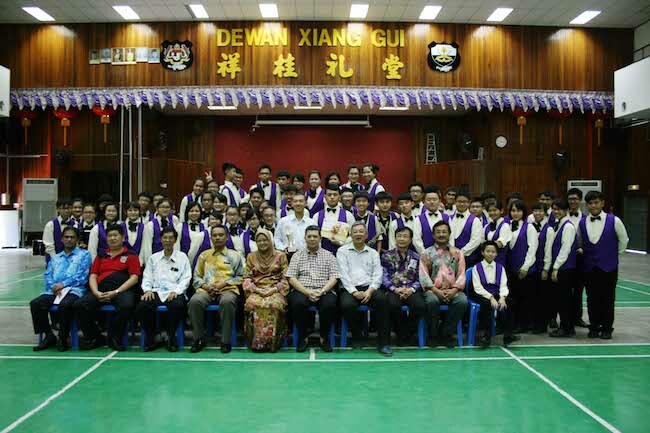 I called everybody to the big hall and then demanded the pengetua apologise. He did apologise later. But the best part is that the pengetua and I became good friends and he changed. He became one of the best pengetua. When I was a student I remember one of the rallies we had was because of Sabra and Shatila. We held a demonstration in the university compound and we had a demonstration in front of the US Embassy. Besides campus politics, the biggest concern of that time was education and there was this huge debate about the Islamisation process that was going on. There was a huge debate about Anwar Ibrahim’s move [joining UMNO]. Back then, student leaders were expected to speak out on national issues and not just campus issues. If you didn’t speak or did not make your position known in certain contemporary issues that was of national concern, it was as if you were not there. After graduation I decided to teach at Yayasan Anda for one full year and then went to the International Islamic University of Malaysia as a student affairs officer. I thought that was a good time to translate my activism to actual work and I enjoyed it there. It was fun because it was a young university. When I joined, it was only the third batch of students. I set up a schedule for student body elections, then the faculty election, and after that all the other student body elections. Give everybody a chance to stand for the highest post and for those who did not win, we’ll give them a second chance to hold lower posts so you don’t waste their talents. It worked during those days. I know that they say youths are the leaders of tomorrow but I say youths are also the leaders of today. They are leaders for the younger youths, they are leaders for their generation, and they are partners with everyone else, including the government. I know that they say youths are the leaders of tomorrow but I say youths are also the leaders of today. In the universities, we used to have student representation in the board of the universities and you’d also have student union representatives in the senate. We don’t have that anymore. My resignation from UM was about academic freedom. I strongly believe that we must uphold academic freedom. I believe there was a political interference that puts the vice chancellor under pressure which resulted in him asking, or rather dismissing, Professor Ridhwan of UMCEDEL. So I thought, I need to leave based on my principles. I needed to walk the talk because I have always been a champion of academic freedom. I am a firm believer of consultation amongst stakeholders so I try to do that insofar as I can. As a minister, this includes encouraging people to do consultation and that is why I supported the idea of Parlimen Mahasiswa in USM. When the government wanted to abolish section 15 of the Universities and University Colleces Act (UUCA) [a section stating it was illegal for students to express support or opposition for any political party, among other things], I started the consultation process. We invited all stakeholders to the table. I am now with GMM (Global Movements of Moderates) established by the Prime Minister and the main mandate is to do two things: promote the idea of moderation in civilisational development and to use moderation as an approaching foreign policy particularly in people-to-people diplomacy. I think a moderate is someone who respects other people, who tries to understand other people’s views, and by respecting and understanding each other, people will try to harmoniously live together and improve collaboration. The constitution is a masterpiece. It is our foundation and a real pillar of the nation. We mustn’t fight extremism by shutting people up because we believe in freedom of speech and expression. The idea is for the moderates to speak up more and work together so we could drown the voices of the extremists. Unity is not about conformity. Unity should be about celebrating the diversity of Malaysia and we used to have better days but if we are not careful, some people who hold extremist or racist views will dictate the discussion. We must address this urgently. The constitution is a masterpiece. It is our foundation and a real pillar of the nation. If you actualise the interpretation in laws and in daily life, we’ll do better in terms of unity. We need to have a constitutional literacy campaign. I think we have a leadership crisis. The leadership must show the way but showing the way does not mean you have to decide everything or you have to do everything. Set the path and set out what it is our vision, what is it that we really want and what are the things that really matter for the majority of the people. We really have to show leadership. On economy, GST is probably one of the ways to do things but I think besides just introducing a tax system the rakyat wants to see prudent spending and the rakyat wants to see you are very serious in fighting corruption. Merdeka, to me, means your soul is free. We need a ‘white line’, a line of demarcation that says we are going to start anew. A stand to say we will be more forceful in our efforts in fighting corruption. Currently under the GTP one of the aims is fighting corruption and it is good. It’s producing results but we need to do more. We don’t have to go witch-hunting because there would be no end to that. But whatever cases that are in progress should carry on. We must utilise the e-procurement and e-bidding methods that are already in place within the government system that is not fully utilised at the moment. If you use these systems, we can achieve two outcome: we can prevent corruption and I can safely say you will save cost easily by 25% of government spending. Merdeka, to me, means your soul is free. That is what Merdeka is all about to me. It’s not just about independence from colonialism, which is important, but there is such thing as penjajahan minda (the invasion of your own mind) when you are too influenced by external factors which makes you ultimately not very independent. 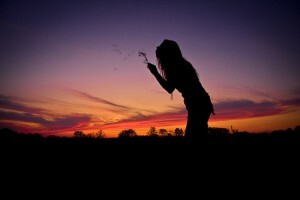 The real meaning of “independence” to me is the independence of the soul. 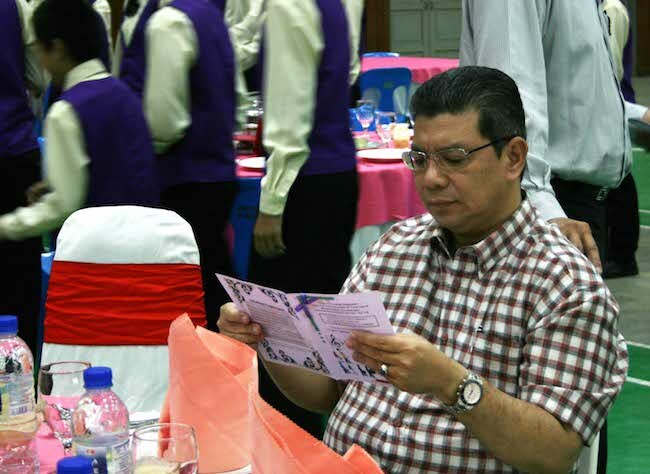 Datuk Saifuddin Abdullah is former Deputy Minister of Higher Education and was MP for Temerloh from 2008 to 2013. He now chairs the Global Movement of Moderates Foundation (GMM) and has written several books on policy and politics. Interview by Abdul Qayyum Jumadi. Photos by Lyn Ong.